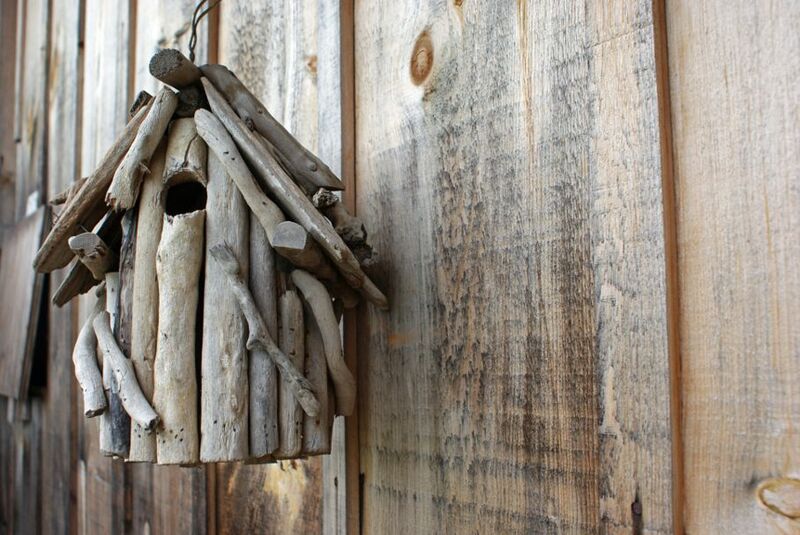 Let Mother Nature be your guide as you nurture your creative side by repurposing driftwood. A walk on the beach can provide treasure for someone in a creative mood. Made smooth by wave action and artfully bleached by the sun, driftwood lends itself to all sorts of projects from jewelry to furniture. The sea-smoothed patina and water-worn crevices make every piece unique. The first step in collecting driftwood is to take a leisurely stroll along the beach with basket or bag in hand. You will see all sizes and shapes that can be used for eye-catching creations. True driftwood is safe to use in your garden or in your home. It has no bark for insects to hide under, and the bleaching of the sun dries it out. Once you get it home, clean it thoroughly with a stiff brush and water to remove dirt and sand. Avoid using soap or anything with a chemical component. Be sure to shake any sand out once it’s dry. You can also boil driftwood for an hour or two to neutralize anything in it that could be harmful. 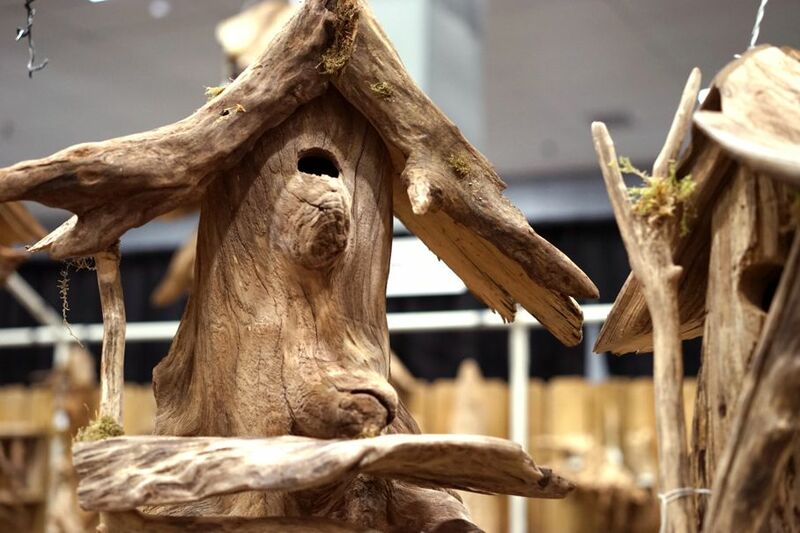 Driftwood birdhouses are not only attractive to garden visitors, birds find them welcoming as well. Just like any birdhouse, you will need to determine what kind of birds you want to attract. Then choose from available patterns and construct a sturdy frame. 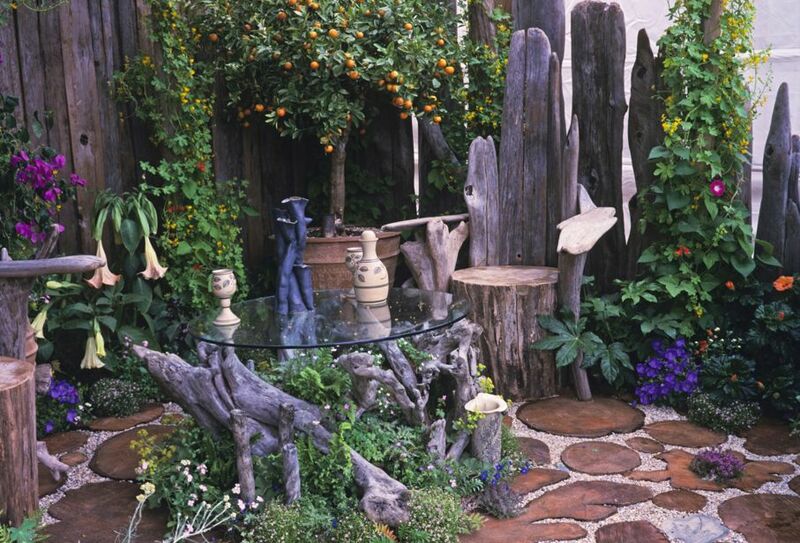 Pick out appropriately-sized driftwood pieces that are as straight as possible to enclose your structure. This will be the tricky part as nature doesn’t measure twice and cut once. Of course, you’ll need the proper tools: finishing nails or a nail gun, a drill to make an entrance, and any others dictated by your pattern and/or instructions. 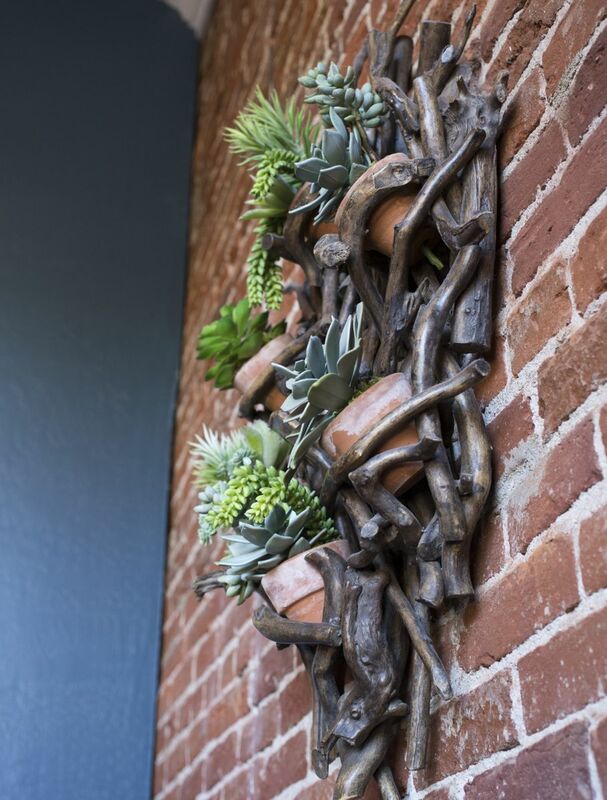 The crevices in driftwood lend themselves perfectly to housing succulents and air plants. A driftwood planter can work as nicely inside as out. It’s just a matter of finding the right piece to accommodate your plants. It should have a crevice or impression deep enough to provide room for the plant to spread out and grow. If your driftwood doesn’t come by it naturally, you may have to create some drainage for your planter. A piece of driftwood that will look right at home in your aquarium can be used without worry after a few simple steps. In addition to cleaning the wood as described above, you will need to cure it too. The curing process ensures the wood is saturated to the point it no longer floats. 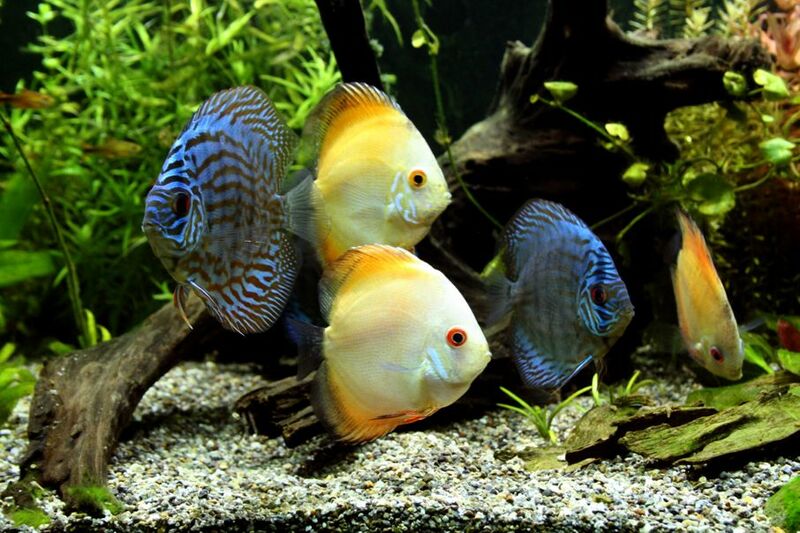 It will also remove tannins that will discolor your aquarium water or possibly change the pH level. This is a simple process of soaking the wood in a bucket of water for a week or so, changing the water as it darkens. When the water stays clear, your driftwood is cured. Consult with an aquarium professional or website for more information on using driftwood safely with your fish. 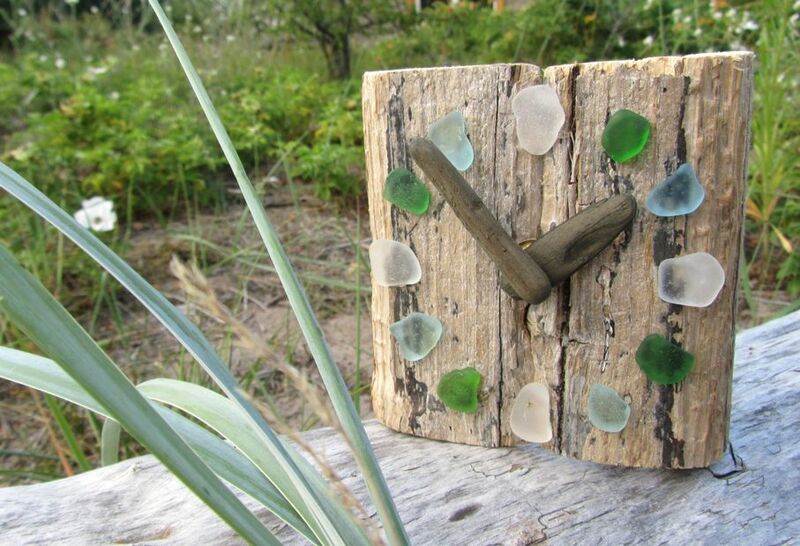 Combining beach glass with driftwood makes for beautiful jewelry. Frosted by the waves and sand, beach glass can be found in amber, white, blues, and greens. A simply-made pendant necklace or pin is a one-of-a-kind accessory. Search for a small piece of driftwood with a crevice or indent large enough to hold a piece or two of beach glass. The glass can be glued into the opening with a hot glue gun. 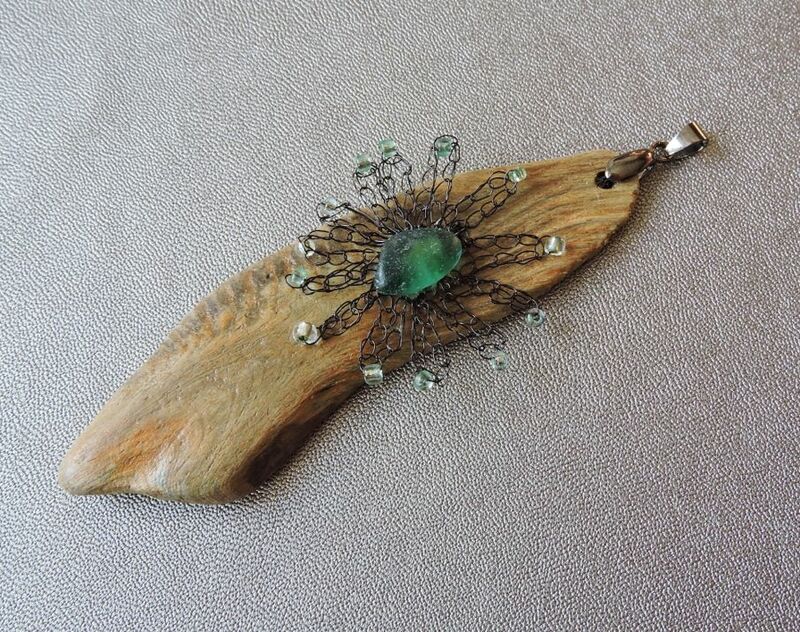 If you want to make a pendant, designate the top of the driftwood and drill a hole to accommodate a bail or ring. It can then be attached to a chain or other necklace. If you prefer to make your driftwood art into a pin or brooch, simply glue on a pin back. Wall hangings made from driftwood can be real conversation pieces and provide a relaxing beachfront feel to any home. A fun example is the seahorse. All it takes is a collection of fairly straight pieces of driftwood (stick size works well), a piece of solid cardboard, a cutting utensil, a pencil, and a hot glue gun. Create a seahorse of any size that suits you on the cardboard with a pencil and cut it out. Then, using your glue gun to attach, fill in the seahorse with the pieces of driftwood until the cardboard cannot be seen. Don’t forget to find something round for an eye. Let Mother Nature be your guide as you nurture your creative side by repurposing your beach finds.